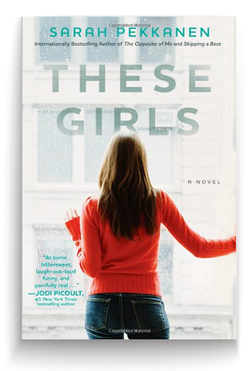 In her third novel, internationally bestselling author Sarah Pekkanen examines the lives of three women working and living together in New York City and shows that family secrets may shape us all, but it’s the rich, complicated layers of friendship that can save us.Cate, Renee, and Abby have come to New York for very different reasons, and in a bustling city of millions, they are linked together through circumstance and chance. Cate has just been named the features editor of Gloss, a high-end lifestyle magazine. It’s a professional coup, but her new job comes with more complications than Cate ever anticipated. Cate’s roommate Renee will do anything to nab the plum job of beauty editor at Gloss. But snide comments about Renee’s weight send her into an emotional tailspin. Soon she is taking black market diet pills—despite the racing heartbeat and trembling hands that signal she’s heading for real danger. Then there’s Abby, whom they take in as a third roommate. Once a joyful graduate student working as a nanny part time, she abruptly fled a seemingly happy life in the D.C. suburbs. No one knows what shattered Abby—or why she left everything she once loved behind. Pekkanen’s most compelling, true-to-life novel yet tells the story of three very different women as they navigate the complications of careers and love—and find the lifeline they need in each other. Copyright © Sarah Pekkanen All Rights Reserved.